Acadian was one of the first central stations to get involved with hosted access control for its dealer partners over ten years ago. At that time Acadian began hosting sites for its dealers through a product created by AMT. Since then Acadian has added Kantech’s Hattrix platform to its list of compatible hosted access control products. Kantech’s Hattrix platform is a highly flexible and customizable solution that scales to support an entire enterprise such as property management, education, multi-site companies, retail and more. Hattrix empowers you to migrate to a service-based security model with great profit growth potential without having to build the infrastructure. A Managed Service Dealer (MSD) offers an extremely important value proposition: helps business owners reduce capital and operating expenses by eliminating the need to hire and train specialized staff or purchase dedicated equipment. At the same time Acadian began hosting access control it also began managing it as well. 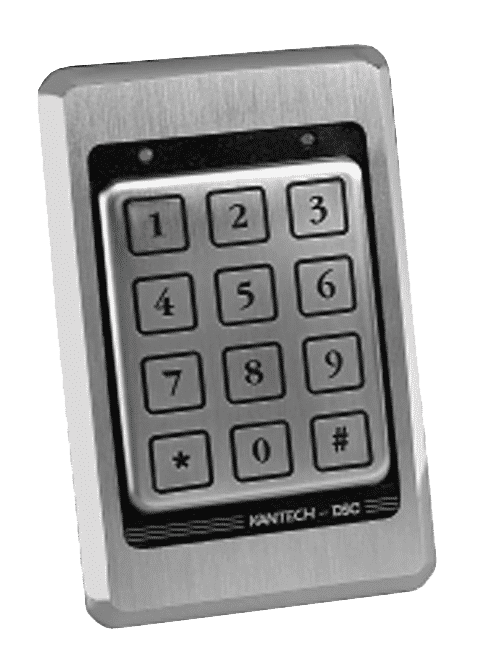 Acadian is capable of providing managed services, including badge activation/termination and access privilege updates, with access control systems from Kantech, AMT and Brivo. Acadian offers virtual doorman solutions for a number of integrators throughout the United States. It can be a service as simple as letting authorities into a secured building to monitoring a package drop off within a high rise building. As a part of Acadian’s suite of guard augmentation services Acadian is capable of assisting dealer partners’ multi-tenant building accounts with their list of needs. Acadian manages your database and hardware in the cloud allowing you to administer EntraPass from a secure workstation or mobile device. Acadian manages your account and also provides ongoing day-to-day support. If you want to change anything your MSP handles it all for you. 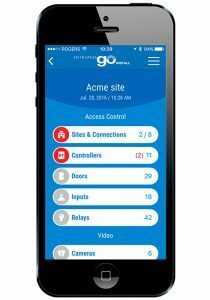 Go mobile app EntraPass Go allows you to remotely control your security system from anywhere without being tied to a workstation. The easy-to-use mobile app for your smart device offers anytime, anywhere real-time management of common security tasks. Manage/create cards, lock/unlock doors, request reports, view video and more. Experience EntraPass Go. Download it for free on the Google or Apple app stores. The intuitive EntraPass Web for your PC delivers remote and convenient real-time access to your system from the Web. Receive automated updates and security alerts as well as perform a host of functions simply, including locking/unlocking doors, managing cards and schedules, requesting reports, viewing video and so much more. The latest wireless IP night vision camera. provides a professional surveillance solution. HD 1080P live and recorded video are available to customers through web-enabled computers, cell phone web browsers and via our free downloadable apps. Plus, wireless set-up is a breeze with push button wireless set-up using the WPS button. Free wireless camera offer is valid for new home security customers only. Requires security monitoring agreement. Call (855) 222-3426 for complete details.